For an island nation trying to diversify its energy mix, offshore wind could be just the thing. 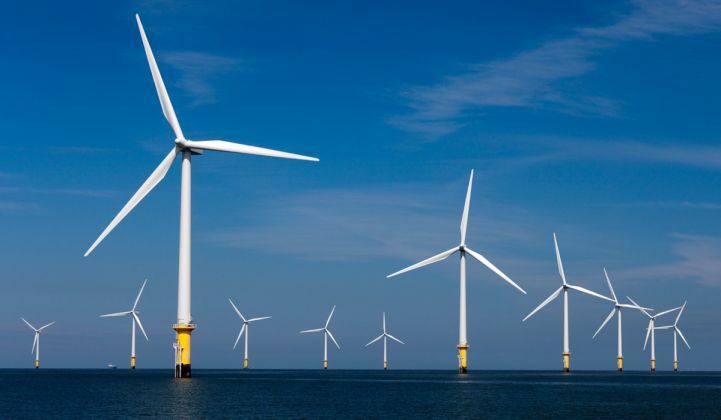 Analysts believe offshore wind could benefit from a renewables diversification plan announced last month by Japanese energy giant Tokyo Electric Power Company (Tepco). While offshore wind “is still not in the plan” for Tepco, according to Bikal Pokharel, principal analyst for Asia-Pacific power and renewables at Wood Mackenzie, “they are looking at investments.” Tepco’s major acquisitions in Japanese renewables will be a mix of solar and offshore wind, he predicted. The company’s youngest-ever leader promised the moves would transform Tepco from a local utility to an innovative global energy and technology company. Pokharel said many of the changes had been underway for the last few years. 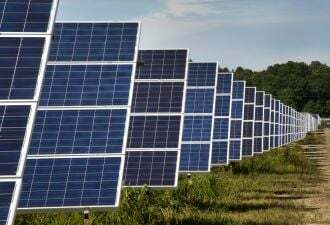 Between 2011 and 2012, for example, Tepco built up its Japanese solar generation capacity from almost nothing to 30 megawatts, spread across two plants in Kanagawa Prefecture and one in Yamanashi Prefecture. In the last year, Tepco has also upped efforts to diversify into more exotic alternative energy technologies. Last April, the utility spent GBP £500,000 (around $700,000) on an equity investment in Moixa Energy, a U.K. residential battery company. Tepco followed that up in July with a €3 million ($3.5 million) Series A investment in Conjoule, a German startup developing peer-to-peer energy markets enabled byblockchaintechnology. In December, Tepco turned its gaze to the U.S. energy storage market, buying a 50 percent stake in Battery Utility of Ohio, a Renewable Energy Systems Americas-owned battery system firm providing frequency regulation services to transmission network operator PJM. The same month, Tepco started testing virtual power plant technology in its home market, working with Californian behind-the-meter battery startups Sunverge and Stem. Against this backdrop of increasingly varied energy investments, a push into offshore wind hardly seems out of the question. Japanese lawmakers have been mulling how to develop offshore wind for some years, and this month the cabinet approved legislation that would allow developers to place competitive bids on selected zones in Japan’s territorial waters. The law still has to go through Japan’s bicameral legislature, the National Diet, in a process that could take a couple of months. Uncertainties remain, such as who will pay for grid connections, but the law signals that the Japanese government is keen to get on with building an offshore wind industry. “The government hopes to reduce the cost of offshore wind power generation, currently at some ¥36 [$0.34] per kilowatt-hour, which is three to six times higher than in Europe,” The Japan Times reported. Simon Nicholas, energy finance analyst at the Institute for Energy Economics and Financial Analysis, said he expected changes in legislation to prompt Tepco to invest in wind as well as solar. Wind power development has been subdued in Japan due to planning restrictions, he noted. Renewable energy today still makes up just a tiny fraction of Tepco’s domestic electricity generation, although the utility already has some exposure to renewables in international markets through its investments and through JERA, a joint venture with Chubu Electric Power. Tepco has enormous costs relating to the Fukushima disaster and also has to cope with the fact that its nuclear power plants are offline, he said.